For Father's Day this year, we made Handprint Baseballs for my husband. He LOVED them, and we had a lot of fun making them too. I also included a poem that he has framed next to the baseballs on his desk. 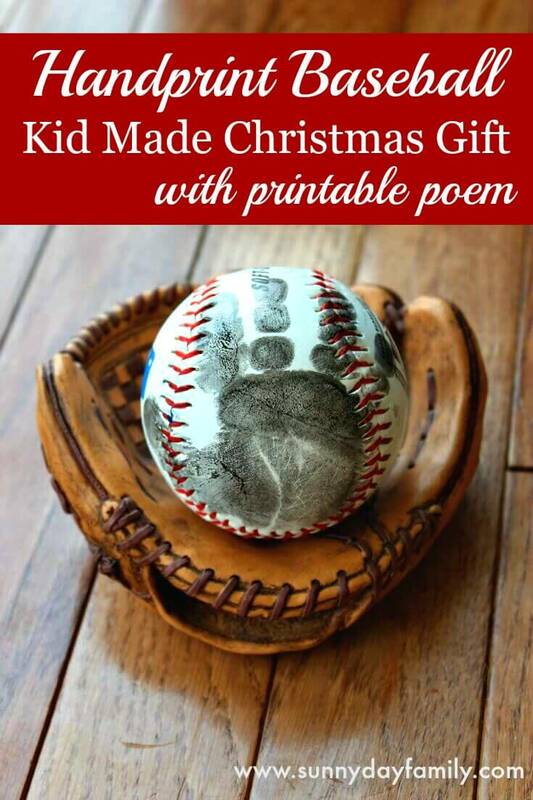 Since our baseball craft was so popular I thought I'd update the poem for Christmas. This would make a wonderful gift for baby's first Christmas, or to celebrate your child's first year in Little League. When I first posted this over the summer, I heard some wonderful ways that readers were using them, like commemorating a team ball for a Little League coach or using a ball from their favorite MLB team for an extra special touch. 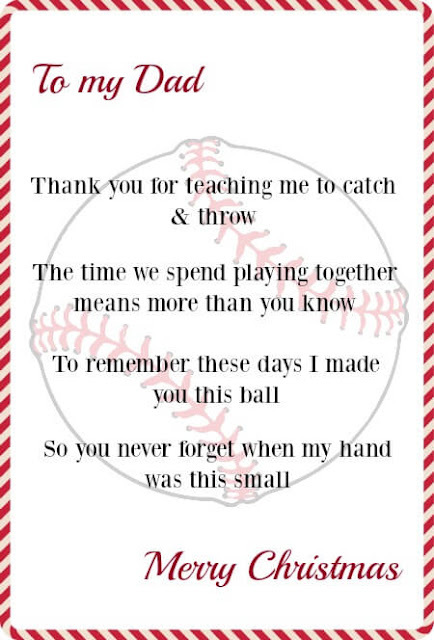 It makes a wonderful gift for baseball loving Dads! 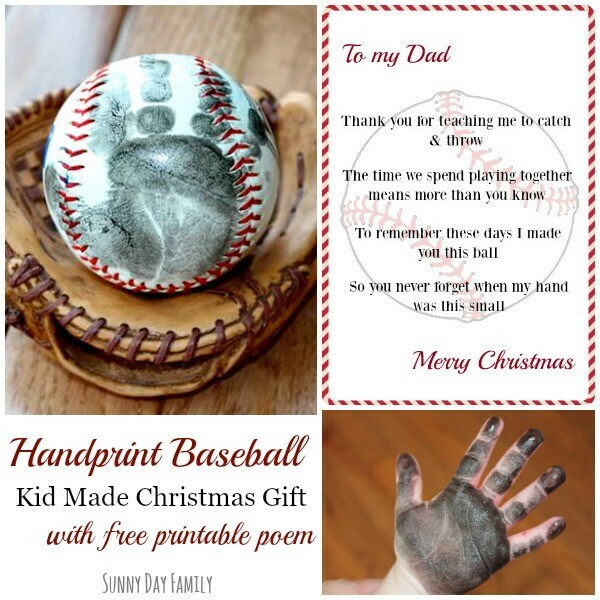 Click here see how to make a Handprint Baseball with supplies and step by step directions. To download the new free printable Christmas poem, click here! Want to really surprise the baseball fan in your family this year? Plan the Ultimate Baseball Road Trip! Looking for more gift ideas? Check out our gift guides for everyone on your list! What a fun idea! Even though I'm an adult, I'd love to this for my dad who is a huge baseball and made sure my sister and I played softball. Thanks for the great inspiration!